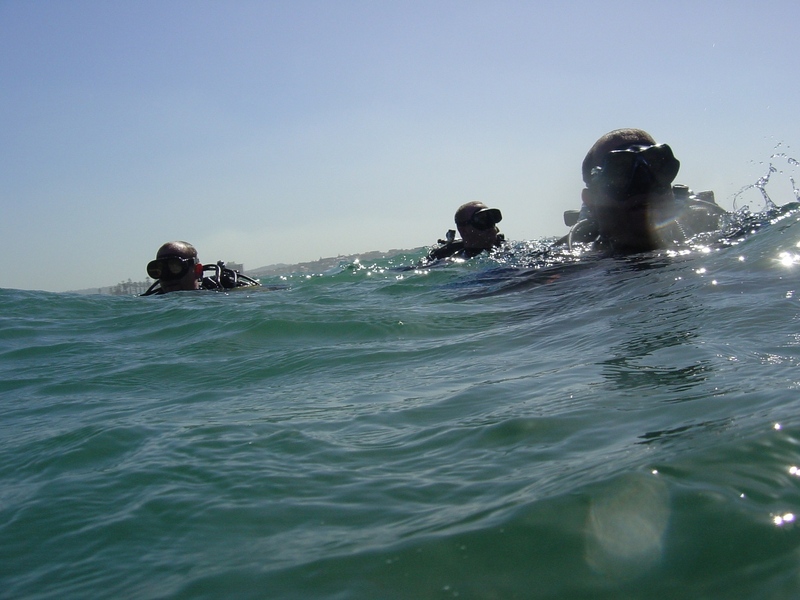 Having an understanding of the problems posed by the environment and a basic knowledge of natural aids to navigation is fundamental to every good dive plan. Given the speed of the current, the diver plans a compass swim towards a submerged object lying in an easterly direction, 500 metres away. He knows that his normal swimming speed underwater is, say, 2 kilometres per hour; a speed that, barring the external influence of the current, would allow him to cover the straight-line distance in 15 minutes. Setting his proposed compass heading due east at 90 degrees, he begins his swim unaware of the influence that the current moving southward at 1 kilometre per hour has on his progress. After covering 500-metres while maintaining a constant compass heading, the diver finds that he is almost 250-metres downstream of where he intended to be. In this hypothetical example, the choice faced by the diver is either to re-anchor the boat 250-metres upstream of his target and, while still swimming on the same compass heading of 90°, allow the current to carry him down to his intended objective, or – and less satisfactory in terms of effort and energy expenditure, (especially in stronger currents) – to take a bearing on a spot 250-metres upstream of the target and swim slightly into the current.